The greatest problems facing humanity today are climate change, poverty, and the increasing separation between the rich and poor. 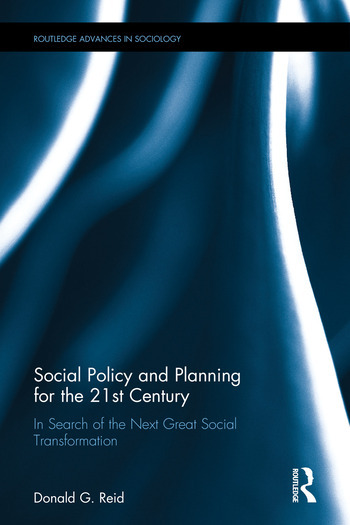 The aim of this book is to examine the social constructions that have led to these breakdowns, and provide potential solutions that are based on a fundamental change in the structure of society and the values on which a new and better social system can be built. Unless we as a society set a drastically different course soon, human life as we know it will suffer greatly, perhaps even cease altogether. Excess consumption is becoming anti-social as the effects of global warming and increasing poverty become apparent. What, then, will form the new social values on which society replaces the present emphasis on work and material consumption that now prevail? This book’s answer to that question is accomplishment and aesthetic consumption. This proposed refocused existence will necessitate a new economic order that provides access to a livelihood beyond the market system. This groundbreaking book will appeal to students and scholars of sociology, leisure studies, political science, and social work. Donald G. Reid is University Professor Emeritus in the School of Environmental Design and Rural Development at the University of Guelph, Canada.